The gifts were innocent… at first. 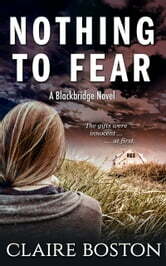 A really good romantic suspense. Hard to work out whodunit until about half way through when you get an inkling. Plenty of clues to give the answers but there are still surprises. Loved this book, very good interesting stuff. A romantic suspense full of twists and turns, couldn't put it down, well written. I was so into this book that I read it all at once in a day. I should’ve spaced it out but I loved it! Must read!